A national poll taken some years ago asked the question "What's your favorite holiday entrée?" The resounding reply was "Ham!" Would you agree? My husband and some of my children certainly would. They always vote for ham over turkey. And since we have another holiday meal to think about (New Year's Day), why not a little ham-talk? Know your ham. Many are probably unaware of the different types of ham available. Most of the hams sold in grocery stores are of the city ham variety (there are also country hams and fresh hams). City hams are brined then either smoked or boiled to be moist and tender. Most are partially or fully cooked and come in a variety of choices - bone in, spiral cut, etc. Choose the best buy. 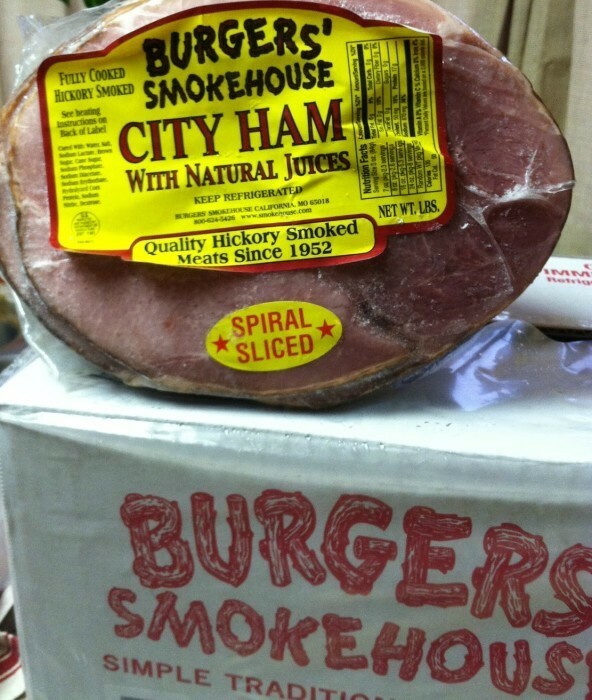 Since most people in the U.S. choose city hams, let's focus on them. While there are many fine city hams to choose, one absolute: bone-in hams are more flavorful. Period. Plus, the bone makes a great soup stock-when you've got a meaty ham bone, you've got another meal or two! Bone-in is definitely the best buy. Watch the water content . The more water added to the product, the less your ham will taste like a ham and it will have less of a meat-like texture. Aim for the highest protein to water ratio that you can afford. You'll find the less water, the more expensive the ham. But remember this is the season for great ham deals at most markets. Flavor it well . It's true that unadulterated ham has a great flavor that can stand on its own. But if you really want to knock the socks off your diners, take the time to flavor this versatile meat. And there are several ways to flavor ham. For fun I asked many of my neighbors how they do it. Here's how they do it where I live, maybe your preference is listed? Next I went to the Internet, wondering how a few of my favorite chefs do it. One almost-5-star recipe I found is from Paula Deen. This is for fresh ham, and I'm dying to try this. It had never occurred to me to use soy sauce on a baked ham. Preheat oven to 325°F. 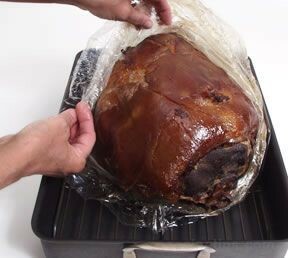 Rub ham well with soy sauce and then thoroughly coat with House Seasoning, making sure to cover all surfaces. Sprinkle seasonings liberally until the ham is completely covered (don't worry about over-seasoning). Place uncovered in the oven for 18 to 20 minutes per pound, or until the internal temperature reaches 160°F on a meat thermometer. When done, let the ham rest for a few minutes before slicing. Cook it right. You might think there's little to cooking a ham. You're mostly right, but a couple simple tips will help you nail it perfectly the first time. Note that regardless whether you choose a fully or partially cooked ham, cooking is essential. For the former, it will enhance its flavor and juiciness. For the latter, it's necessary. 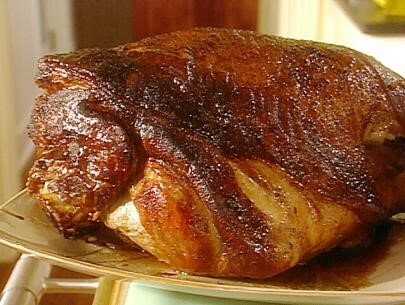 · Baking a ham is the hands-down best way to prepare it. Wrap it in aluminum foil, and place it in an oven bag cut side down inside a roasting pan. This method helps prevent you from inadvertently drying out your ham and is worth the effort. 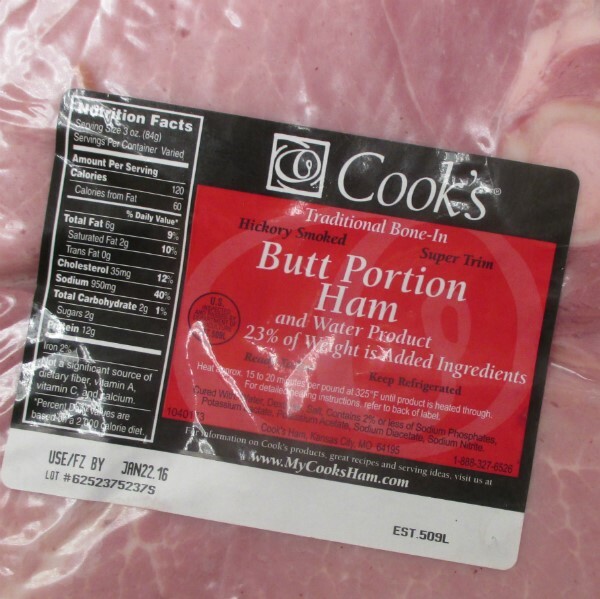 · A partially cooked ham will need to cook 20 minutes per pound at about 350°F. 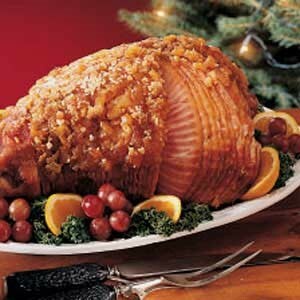 A fully cooked ham will take less time, about 10 minutes per pound, to heat through. · Since ovens and hams vary, use a meat thermometer to gauge exactly when the ham is done. For accuracy, it's important to know where to insert the thermometer probe. Choose the center of the thickest part of your ham, avoiding the bone. · You'll know your ham is ready to come out of the oven when your thermometer reads about 140°F. It'll continue cooing while resting, so stopping at this point will keep your ham juicy. The recommended rest period is 30 minutes, tented under foil, prior to slicing and serving. 5 Reasons to Eat Mandarin Oranges and a Recipe to Make it Happen! Be the Best in the Kitchen with These Ideas! You've Been Measuring Flour Wrong!